Named based on owner of land. No graves visible. Cemetery destroyed. From the Baldwin County Courthouse, go east on Hancock St. one block. Turn right (south) on Wayne St., which becomes Business 441 South. Follow Business 441S for 1.8 miles. Turn right on Allen Memorial Drive. Drive 0.6 mile to Harrisburg Rd. Turn left and go 0.3 mile on Harrisburg Rd. Turn right on Deacon Simmons Rd and go 0.1 mile. 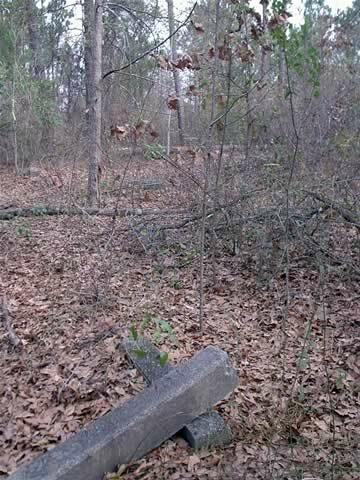 The cemetery was off the road approximately 200 feet on your right (Cemetery destroyed).